It’s happy to be mingled with coriander sprigs and mint, take the lead role in a gin & tonic or simply to be enjoyed over the freshest of ice. Our subtle balancing act of 10 botanicals has resulted in a distinctive gin which stands tall and proud. 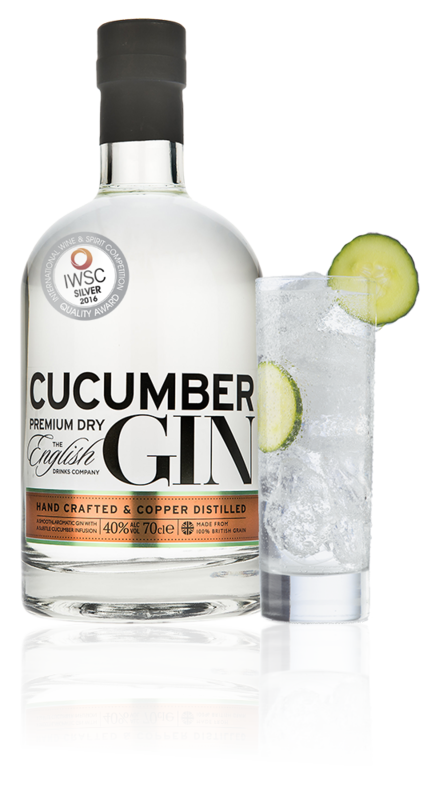 Imposing itself on the gin connoisseurs of today, Cucumber Gin makes no apologies. Everyone knows that a premium gin needs premium ingredients and a superior method. Cucumber Gin is no exception. 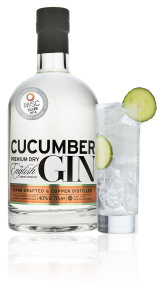 Crisp cucumber scents are used to balance the delicate juniper base whilst mellow aromas of coriander, citrus bursts and soft cracked pepper are added to deliver the delicate yet pronounced flavour. Crafted with 100% British grain, our distillation relies on the use of unique traditional copper pots to patiently infuse the elusive flavours and secret botanical ingredients to uncompromising perfection. We believe our ingredients deserve nothing less.